Arnold is a census-designated place (CDP) in Calaveras County, California, United States. Get in touch with nature at Grover Hot Springs State Park and Lake Alpine. Explore hidden gems such as Indian Grinding Rock State Historic Park and Black Chasm Cavern. You'll find plenty of places to visit near Arnold: Plymouth (Helwig Vineyards & Winery, Jeff Runquist Wines, & more) and Fair Play (Windwalker Vineyards & Perry Creek Vineyards). There's more to do: admire the majestic nature at Calaveras Big Trees State Park and explore the activities along White Pines Lake. To see maps, more things to do, where to stay, and more tourist information, refer to the Arnold travel route planning website . Sacramento to Arnold is an approximately 2-hour car ride. July in Arnold sees daily highs of 95°F and lows of 60°F at night. Wrap up your sightseeing on the 28th (Sun) to allow time to travel to Moose. Moose is an unincorporated community in Teton County, Wyoming, United States, in the Jackson Hole valley. Your inner history buff will appreciate Mormon Row Historic District and Chapel of the Transfiguration. You'll explore the less-touristy side of things at Hidden Falls and Leigh Lake. 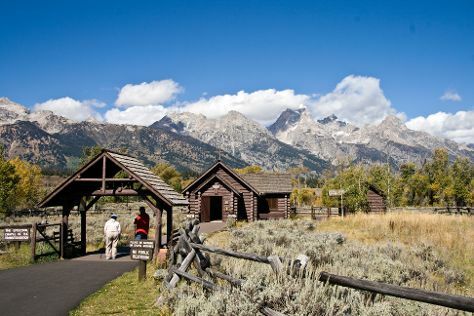 Spend the 29th (Mon) surrounded by wildlife at Grand Teton. And it doesn't end there: hike along Jenny Lake Trail, explore the stunning scenery at Cascade Canyon, admire all the interesting features of Signal Mountain Summit Road, and contemplate the waterfront views at Amphitheater Lake. To find maps, ratings, where to stay, and other tourist information, read our Moose trip planning website . Use the Route module to find suitable travel options from Arnold to Moose. You'll lose 1 hour traveling from Arnold to Moose due to the time zone difference. Expect slightly colder temperatures when traveling from Arnold in July; daily highs in Moose reach 79°F and lows reach 44°F. Cap off your sightseeing on the 4th (Sun) early enough to travel back home.